Firstly, a detailed case history is taken incorporating the physical and emotional symptoms of the Client as well as consideration of their diet, health and lifestyle. Some of the questions may seem unusual but are important to help establish a proper TCM (traditional Chinese medicine) diagnosis. It includes Pulse & Tongue Analysis. The treatment then will be the insertion of very fine sterile acupuncture needles at appropriate points on the body. They will be left on the body for 20-30 minutes, stimulated as appropriate based on the diagnosis. 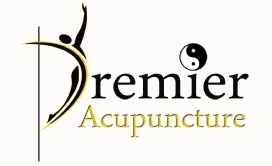 Acupuncture can also be preventative medicine in that it balances the immune system and helps the body restore itself. Regular treatments to strengthen and balance the body can reduce the chance of illness reoccurring completely or less frequently.